TrafficMASTER Allure Ultra gives you the richness and deep texture of hardwood flooring with luxurious embossing for a beautiful look and feel. Dramatic 7.5-inch x 47.6-inch planks are quiet underfoot and offer state of the art click-lock installation technology. Allure Ultra's simple angle-slide-lock installation system allows for easy, no-glue installation, saving time, effort and money. The floating floor installs over most existing surfaces including concrete, wood and vinyl. This flooring is both phthalate-free and formaldehyde-free to ensure product safety. With Allure Ultra, you can transform any room in your home quickly and easily. Huron Oak 7.5-inch x 47.6-inch Luxury Vinyl Plank Flooring (19.8 sq. ft. / case) LifeProof is the latest innovation in vinyl flooring, available exclusively at The Home Depot. LifeProof Luxury Vinyl Flooring features an innovative highly engineered closed-cell foamed vinyl core that delivers rigidity and strength, yet is lightweight and easy to handle and install. LifeProof Luxury Vinyl planks feature authentic embossing that looks and feels like real wood. The simple drop-and-lock end joints make installation a breeze. A solid virgin vinyl layer enhances durability and provides exceptional embossing detail and texture while an attached underlayment minimizes sound, is shock-absorbing, and enhances warmth and comfort under foot. This flooring is both phthalate-free and formaldehyde-free to ensure product safety. LifeProof Luxury Vinyl Flooring does not require acclimation. 100% LifeProof, 0% worries. 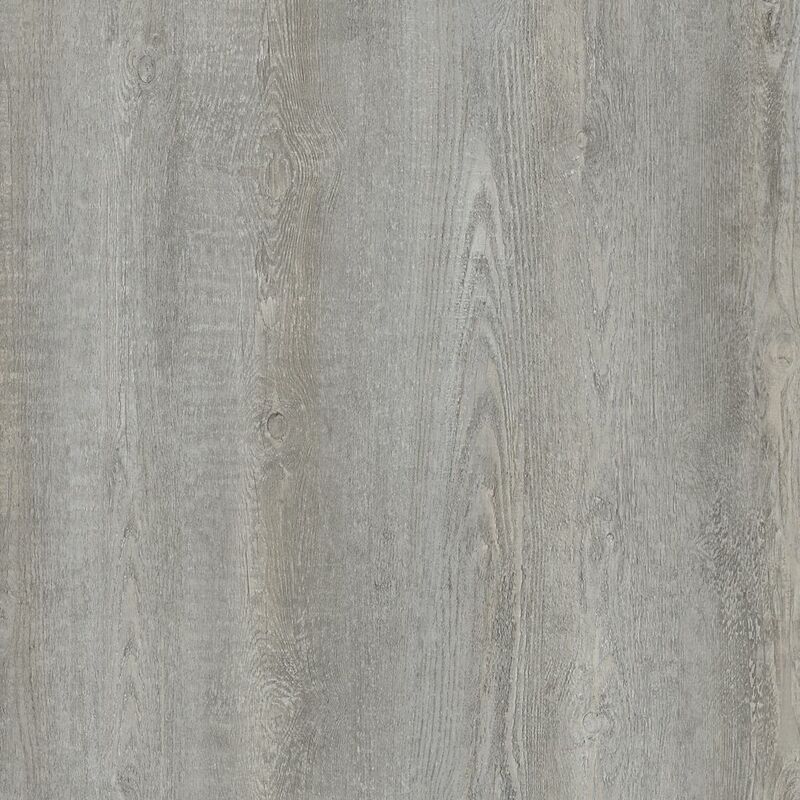 Huron Oak 7.5-inch x 47.6-inch Luxury Vinyl Plank Flooring (19.8 sq. ft. / case) is rated 4.0 out of 5 by 3. Rated 2 out of 5 by Darrell from Not 100% happy The cost of the flooring... over $3000... The good... the Lifeproof vinyl flooring is waterproof. The bad... its not very stable. IE... with engineered or laminate you only get flexing "up and down" the flat side of the plank. That obviously cant happen once the engineered or laminate types of flooring are laid flat on a surface. BUT the Lifeproof also flexes left and right along its length. This flexing has become an issue with our recent cold snap. I suppose as the house expands and contracts with the outside temp that flexing has caused the boards to begin to separate ever so slightly.... in the center areas of the floor space. I have to constantly monitor the vinyl floor for movement and try to close the gaps with my rubber mallet. I have even had to glue a couple of trouble spots to slow the movement... The floor is on a very thin layer of underlay on the whole main floor of my residence. I installed the floor myself. Its my fourth install of a floor and my first vinyl floor. I have never had this issue with regular laminate. My biggest concern is what happens in a year or two... the gaps are not obvious unless you look closely but the vinyl floor is only a couple months old and there were no gaps when installation was completed. The flooring is fine in a second much smaller area... the front entrance. Rated 5 out of 5 by Djrh from Great Product We installed this product in our front entrance and hallway .We are very pleased with its ease of care and durability. We plan to use it in our kitchen in a future Reno. Does this product offer a coordinating stair edge? Thank you for your question- I do not see matching stair edge for this product at this time. What are the IIC and STC results? Any other technical data would be helpful as well. How do I order the accessories tapping block and hammer?&nbsp; I don't see an accessories Tab on this page. Thank you for your question. Please contact our customer service 866.843.8453.